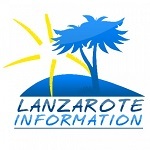 Lanzarote had volcanic eruptions for six years from 1730 to 1736 and a smaller one in 1824, its status is classed as historical and therefore dormant, although you can feel the heat under the surface at Timanfaya. The eruptions that started in 1730 lasting six years, covered the most fertile areas of the island, there was no loss of life, but several villages were buried under the flow and hardship followed. “On the first day of September, 1730 between nine and ten o’clock at night, the earth suddenly opened near Timanfaya, two miles from Yaiza. An enormous mountain emerged from the ground with flames coming from its summit. It continued burning for 19 days. Some days later, a new abyss developed and an avalanche of lava rushed down over Timanfaya, Rodeo and part of Mancha Blanca. The lava extended over to the northern areas to begin with, running as fast as water, though it soon slowed down and ran like honey. On September 7, a great rock burst upwards with a thunderous sound and the pressure of the explosion forced the lava going northwards to change direction, flowing then to the North West and west North West. The lava torrent arrived, instantly destroying Maretas and Santa Catalina in the valley. On September 11, the eruption became stronger. From Santa Catalina lava flowed to Mazo, covering the whole area and heading for the sea. It ran in cataracts for six continuous days making a terrible noise. Huge numbers of dead fish floated about on the sea or were thrown on the shore. Then everything quietened, and the eruption appeared to have come to an end. But on October 18, three new fissures formed above Santa Catalina. Enormous clouds of smoke escaped, flowing over the whole island, accompanied by volcanic ashes, sand, and debris. The clouds condensed and dropped boiling rain on the land. The volcanic activity remained the same for ten whole days with cattle dropping dead, asphyxiated by the vapours. By October 30, everything had gone strangely quiet. Two days later, however, smoke and ashes reappeared and continued until the 10th of the month. Another flow of lava spewed out causing little damage as the surroundings were already scorched and devastated. A further avalanche started on the 27th, rushing at unbelievable speed towards the sea. It arrived at the shore on December 1 and formed a small island in the water where dead fish were found. On December 16, the lava, which until then had been rushing towards the sea, changed direction, heading south west, reaching Chupadero which, by the following day, had turned into a vast fire. This quickly devastated the fertile Vega de Uga, but went no further. New eruptions started on January 7, 1731, with spontaneous fireworks embellishing the sadness and desolation of the south. Powerful eruptions with incandescent lava and blue and red lighting crossed the night sky. On January 21, a gigantic mountain rose and sunk back into its crater on the same day with such a terrifying sound, covering the island with stones and ashes. The fiery lava streams descended like rivers towards the sea with the ash, rocks and dense smoke making life impossible. That lava flow ceased on January 27.But on the third day of February, a new cone threw out more lava towards the sea, which continued for 25 consecutive days. On March 20 new cones arose, with more eruptions continuing for 11 days. On April 6, the same cones erupted again with even more fury. And on the 13th, two more mountains collapsed into their own craters making a frightful sound.By May 1, the fire seemed to have burned out, only to start up again the following day, with yet another new cone rising and a current of lava threatening Yaiza itself. By May 6, everything was quiet again and remained so for the rest of the month. However, on June 4 an enormous land rift took place which opened up three new craters and accompanied by violent tremors and flames which terrified the local people. The eruption once more took place near Timanfaya. Different openings soon joined into one and the river of lava flowed down to the sea. A new cone appeared among the ruins of Maretas, Santa Catalina and Timanfaya. A crater opened on the side of a mountain near Maso spewing out white fumes which had never been seen before. Towards the end of June, 1731, all the western beaches and shores were covered with an incredible number of dead fish of all species — some with shapes which islanders had never known before. In the North West, visible from Yaiza, a great mass of flames and smoke belched forth accompanied by violent detonations. In October and November more eruptions took place which worsened the islander’s fears. On Christmas Day, 1731, the whole island shook with tremors, more violent than ever before. And on December 28, a stream of lava came pouring out of a newly risen cone in the direction of Jaritas. It burned the village and destroyed San Juan Bautistas chapel near Yaiza”. During the six year period from 1730 – 1736 the area now known as Timanfaya National Park was created, this is one of the newest places on earth and is of great interest to scientists to see how the land develops. 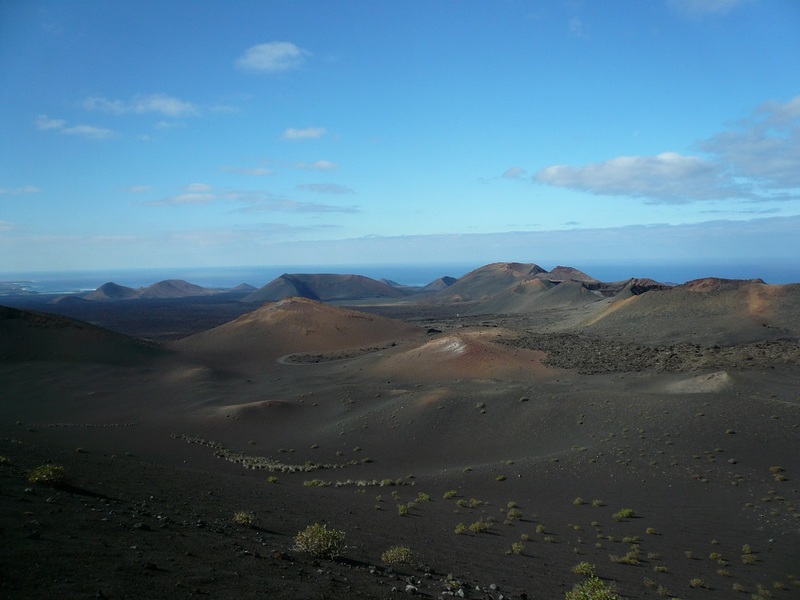 The islanders lost villages (Tingfa, Mancha Blanca, Maretas, Santa Catalina, Jaretas, San Juan, Timanfaya, Rodeo and Mazo) but more importantly their fertile land that had been used to grow vines, cereals and graze cattle. The eruptions created over one hundred volcanoes in the area now called Montañas del Fuego and 32 new volcanoes around the island, the flow covered around 200 sq km. There was a much smaller eruption in 1824 in the Tiagua area. If you haven’t been to the Timanfaya National Park you should! When you arrive, park your car and take the bus tour around the coronas, the scenery is dramatic and very different in colour, you can hear the extractions from the Yaiza priest in various languages. Later see the giant volcanic BBQ, geyser and fire demonstrations, then visit the restaurant and gift shop.